College Sociology class has had a busy semester. 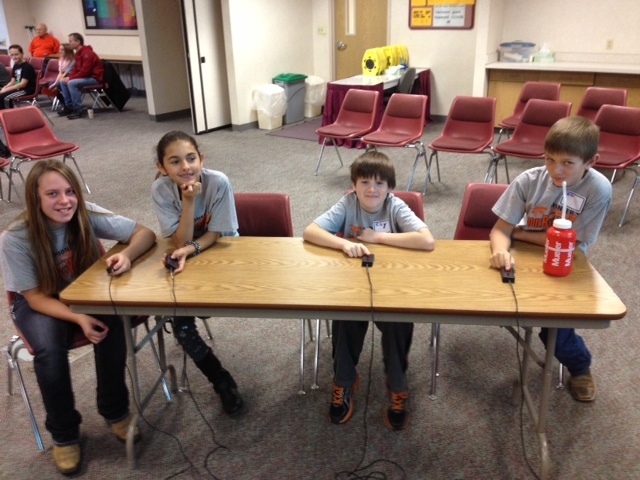 They have done several community service projects. 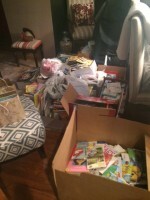 One group has collected items for foster care kids, another has rang bells for Salvation army and will be serving food at a homeless shelter and another has done some recycling at the recycle center in Blair. Jordan Schaefer had this to say about her experience ringing bells. “Other than it being pretty cold one of the days, it was really fun. 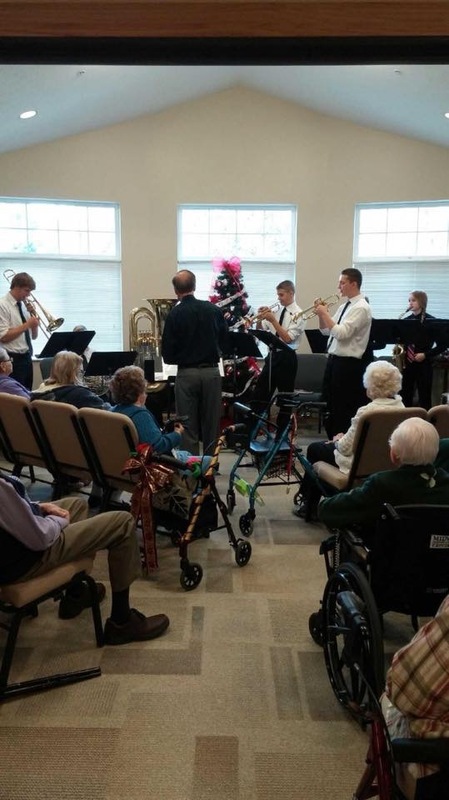 Getting to see everyone that supports the Salvation Army and gives money was really nice. 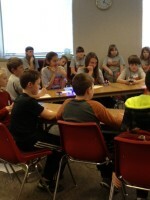 Even getting to see people smiling as our group sang songs was great. A lot of people would come up and sing with us. 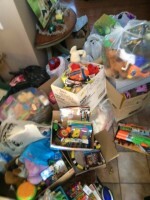 It was also really great to see all of the little kids that would bring money and put it in the bucket. There were a lot more than I had expected.” Thank you students for your service to the community. 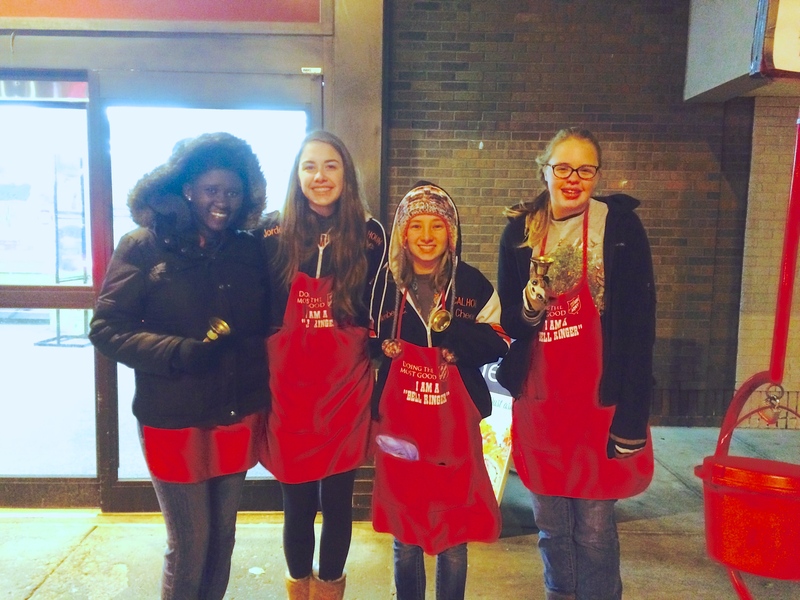 Nyaliet Teng, Jordan Schaefer, Montana Cottle and Rachel Schumaker rang bells for the Salvation Army. 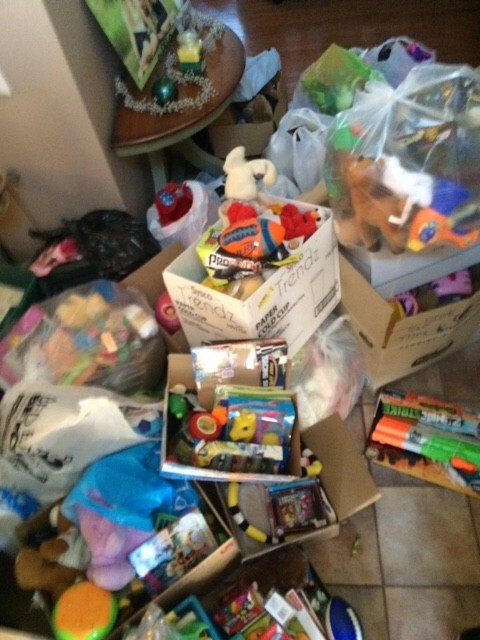 Jordan Coulter, Tessa Dethlefs, Hanna Lazure, and Lauren Nelson Collected different items for foster kids. This entry was posted in Uncategorized on December 15, 2015 by Jennifer Gepson. 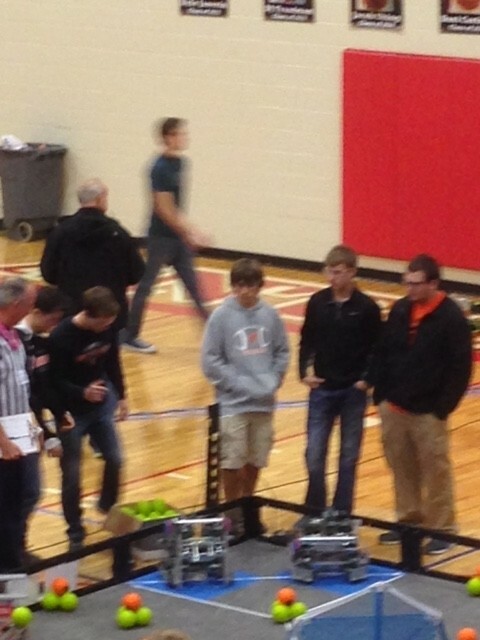 Fort Calhoun High School robotics teams participated in a Vex Robotics tournament this weekend at Elkhorn high school. 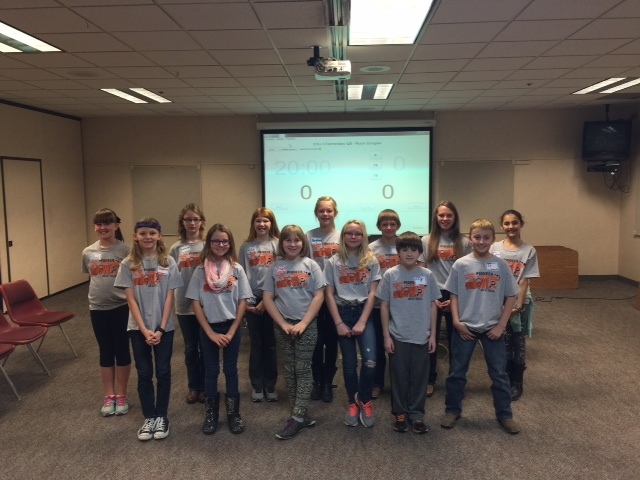 Three teams competed from Fort Calhoun, with team 5053A Pioneer 1 finishing as tournament champion. 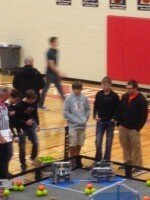 The team consisted of Bret Klabunde, Zane Fickbohm, Eric Wolf, and Colton Edie. 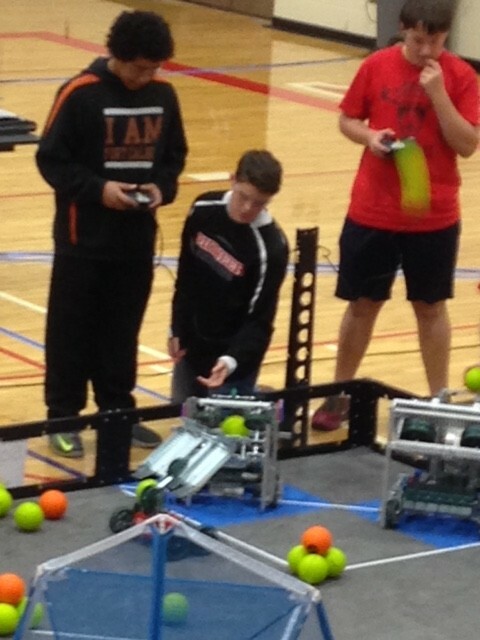 They paired with another team from Thomas Jefferson, and had a record of 6-1 through the three elimination rounds that used a best out of three format. 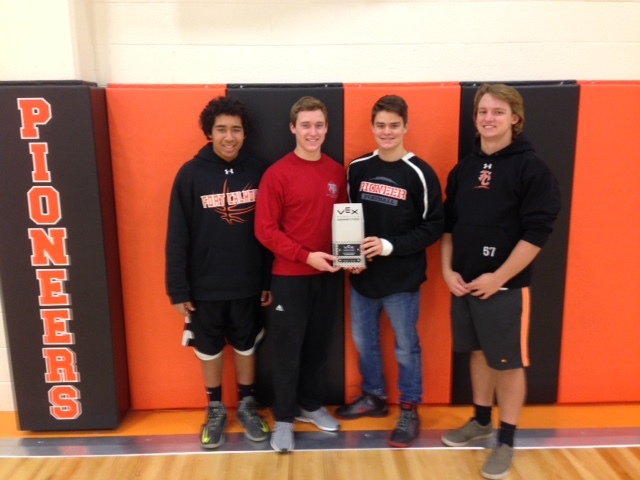 This tournament win has qualified them for the Iowa/Nebraska Regional held at Omaha North on February 26-27, and the U.S. Open held at the Mid America center in Council Bluffs on April 7-9. 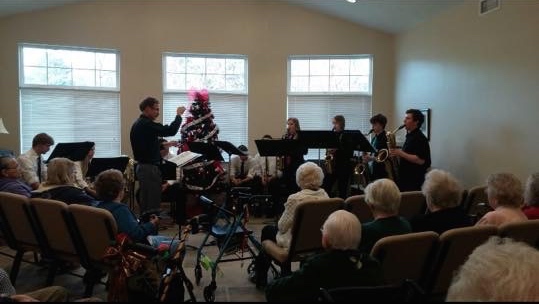 Our Choir and Band have been busy this Holiday Season. 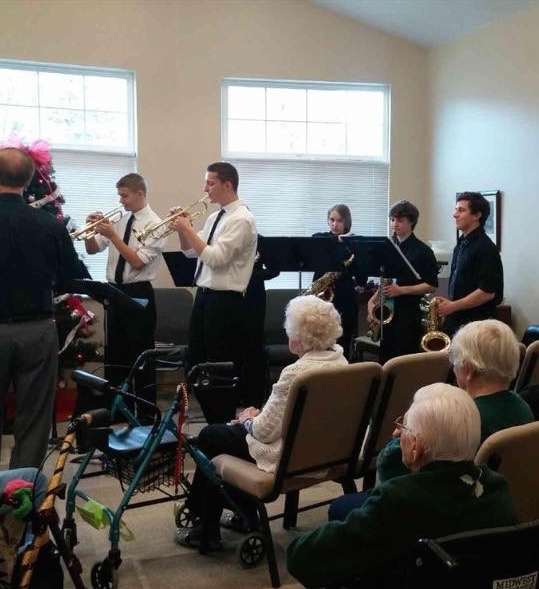 Show Choir performed for the Ladies luncheon at the Frahm house and had their Choir Christmas Concert.The Saxophone Quartet and the Brass Quintet provided some holiday entertainment for the retired folks at Autumn Pointe. 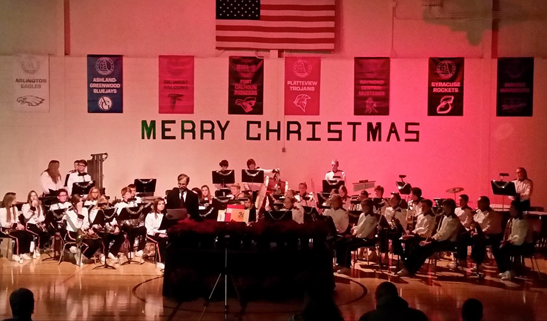 The Band also had their Christmas Concert. 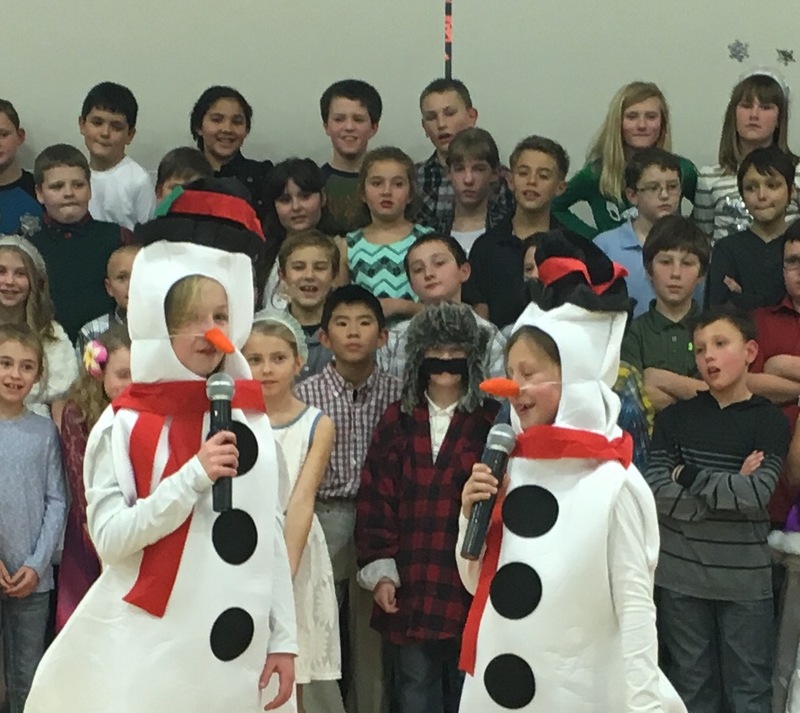 Our Elementary Students had fun preparing for their Christmas Concert on December 10th. 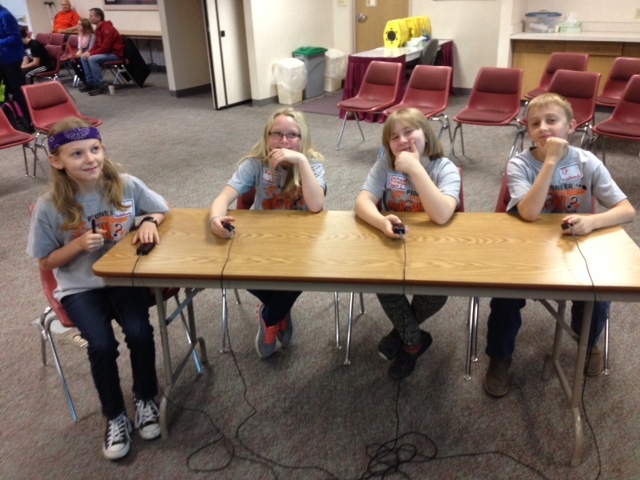 This entry was posted in Uncategorized on December 14, 2015 by Jennifer Gepson. 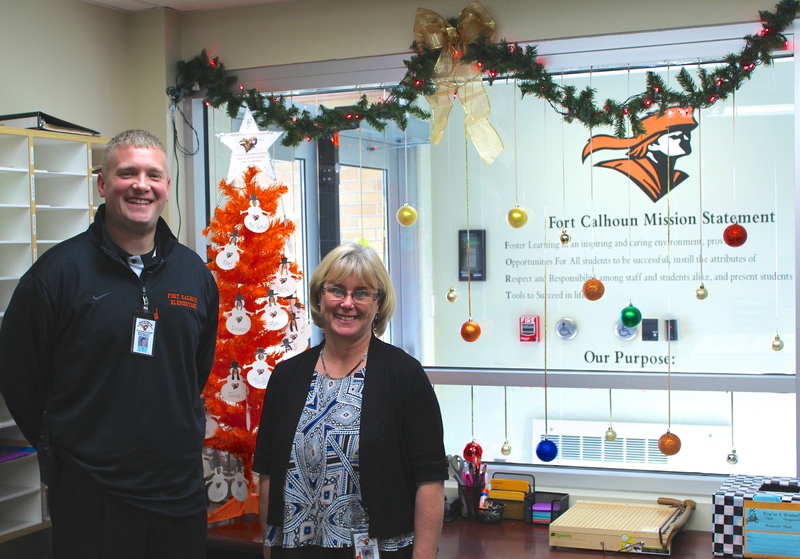 Merry Christmas from Fort Calhoun Community Schools. The offices will be closed at noon on December 24th through December 25th and on December 31st through January 1st. School offices will also be closed on Monday the 21st due to fire alarm testing. Have a wonderful Holiday break. 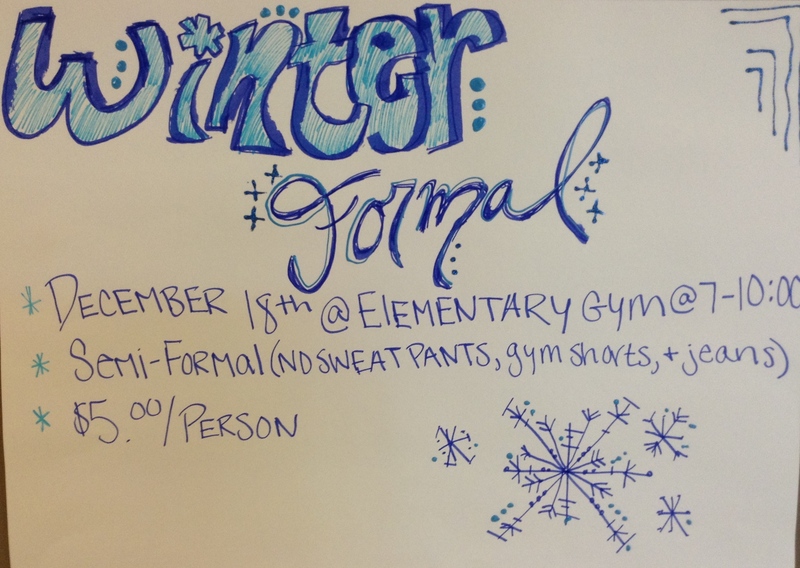 The Winter formal for the High School Students is December 18th from 7-10 at the elementary school gym. Admission is $5/person. Dress code: no jeans, sweatpants, or gym shorts. 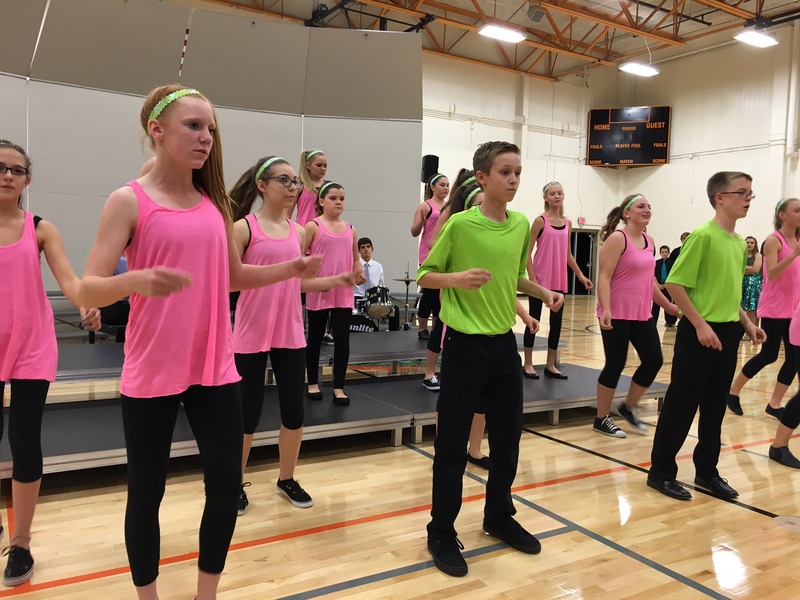 Outside Dance Permission form is in the office. 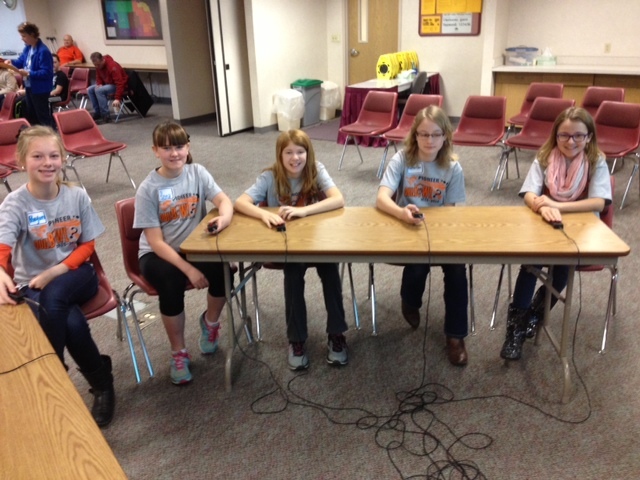 This entry was posted in Uncategorized on December 10, 2015 by Jennifer Gepson. 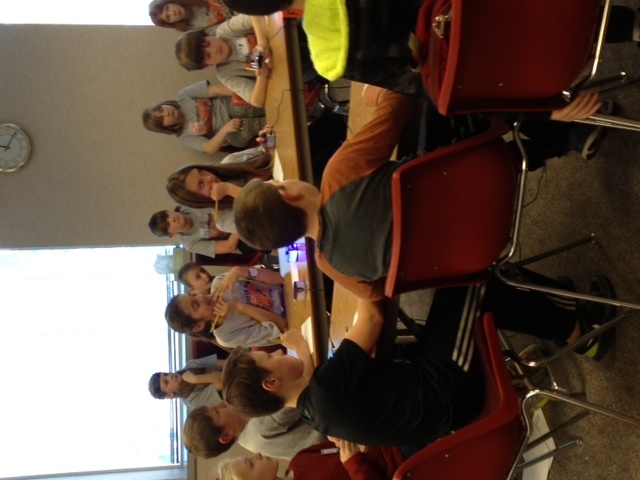 All teams competed at a high level while earning compliments from other teachers. 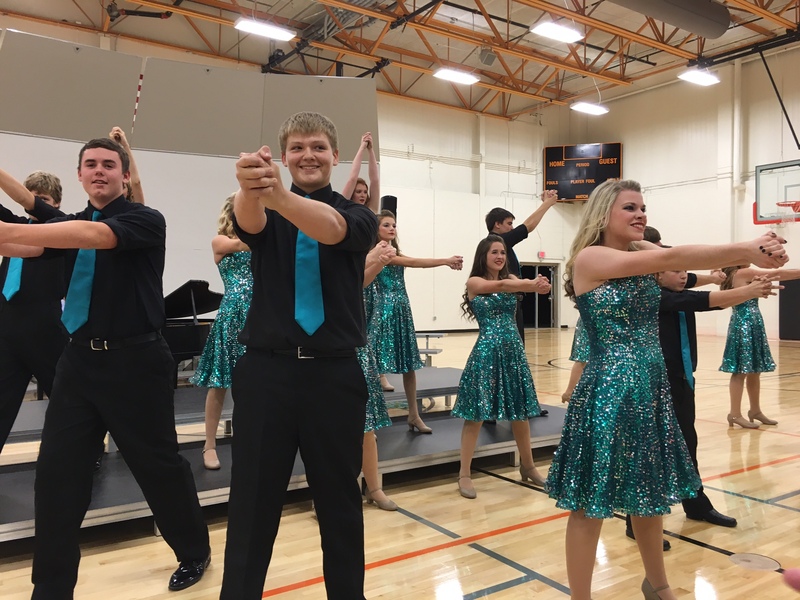 Statements made about our Fort Calhoun Kids…. This entry was posted in Uncategorized on December 3, 2015 by Jennifer Gepson.